What’s the Difference Between 316 Marine Grade and 304 Grade Stainless Steel Mesh? SecureView Eclipx security screens are made using 316 Marine Grade Stainless Steel mesh. 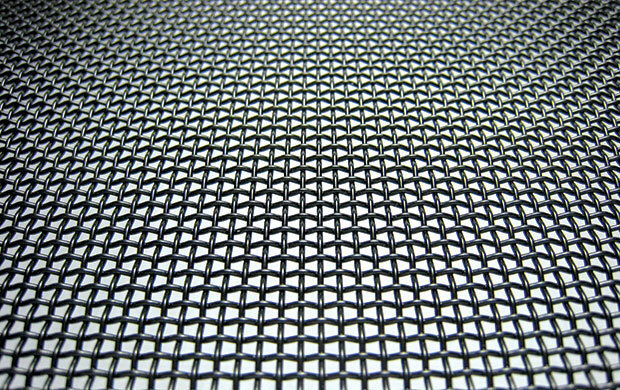 Other screen manufacturers use Grade 304, which is a cheaper mesh offering some corrosion resistance, but simply doesn’t compare to Marine Grade 316, which provides superior resistance to a wider range of corrosive medias. If you’re not not really sure what’s the difference between 316 and 304, this article will show why Marine Grade 316 Stainless Steel is a clear winner when it comes to protecting your home. So what exactly is corrosion and why is it a problem when it comes to security screens? Simply put, corrosion is the process of deterioration through oxidation. This is a chemical action that creates oxides which flake away, exposing the surface underneath to further deterioration. While corrosion can refer to any form of wearing down or erosion, it is most commonly associated with the process of rusting in metal. This occurs when iron molecules combine with oxygen in the presence of water to form a red flaky oxide. Iron and steel are highly susceptible to this type of corrosion, and as security screens are made from steel and are constantly exposed to the elements, they too are vulnerable to attack from corrosion. Salt in particular is a highly corrosive substance and if you live near the coast, salt spray can be a real problem, even when your screens are made from stainless steel. Stainless steel is valued for its anti-corrosive properties, and stainless steel mesh is used in the making of all modern security screens. Stainless steel is an alloy composed primarily of iron, with other ingredients added including nickel, titanium, aluminium, copper, nitrogen, phosphorous, and selenium. But the ingredient that gives stainless steel its anti-corrosive properties is chromium, which makes up at least 10.5% of its total composition. Chromium reacts with oxygen just as iron does, and its secret is that it only causes a small amount of oxidisation, which then creates a very thin film on the surface of the stainless steel, often just a few molecules thick. This film adheres to the surface and creates an effective barrier against further oxidisation and corrosion. Grade 304 and Marine Grade 316 stainless steel both contain similar amounts of chromium which give them their anti-corrosive properties, but Grade 304 is more susceptible to corrosion than Marine Grade 316 because it lacks one important extra ingredient. Grade 304 is very versatile and is widely used in a variety of outdoor applications including electrical enclosures, auto moulding and trim, wheel covers, kitchen appliances, hose clamps, exhaust manifolds, storage tanks, and piping. Its combination of 18% chromium and 8% nickel also give it good resistance to moderately acidic or caustic solutions, making it suitable for non-severe applications such as kitchen and food environments. It’s a product that is easy to fabricate, easy to clean and comes in a variety of finishes and appearances. However, Grade 304 is still susceptible to corrosion from chloride solutions found in saline environments. Here chloride ions can create localised areas of corrosion known as ‘pitting’, which can spread beneath the stainless steel’s chromium barrier and cause further corrosion. Evidence of such corrosion can be seen in a discolouration that appears on its surface, known as ‘tea staining’. Marine grade 316 stainless steel is similar to Grade 304 with one notable exception. As well as chromium and nickel, Marine grade 316 also contains 2% to 3% of molybdenum, a hard, silver white metallic element used to toughen steels and increase corrosion-resistance in nickel alloys. The addition of this ingredient gives Marine grade 316 superior corrosion resistance to other chromium-nickel steels when exposed to chemical corrosives such as seawater and brine solutions. Like Grade 304, it is also durable, easy to fabricate, clean, weld and finish, but unlike Grade 304, it provides greater protection from salt spray and brine. Marine grade 316 is also much more resistant to solutions of sulfuric acid, chlorides, bromides, iodides, and fatty acids at high temperature and is commonly used in industrial applications involving chemical processing. Due to its non-reactive qualities, it is also used in the manufacture of medical surgical instruments and in the manufacture of pharmaceuticals where excessive metallic contamination must be avoided. Marine grade 316 stainless steel is clearly the hands-down winner in terms of exposure to chlorides such as those found in salt spray. But it is slightly more expensive to manufacture, so is it worth the additional cost? Well, the answer is, if you live within 5 kilometres of the coast, you are susceptible to salt spray whether you know it or not. And as approximately 80% of Australians live on or near the coast, chances are you are among those who would benefit from the additional corrosion resistance offered by Grade 316. Fitting your home with security doors and screens is something you only want to do once, so choosing SecureView Eclipx Security Screens made from 316 Marine Grade Stainless Steel Mesh is a way of insuring your investment for the long term. And at CommandeX, we’ve done the testing to prove it. The 10,000 Hour Salt Spray Test (Australian Standard 2331.3.1) is designed to simulate 100 years of real life salt spray, as would be experienced by a typical Australian coastal home. Our SecureView Eclipx Security Screens made from Grade 316 stainless steel mesh easily surpassed the requirements for this test. So don’t be fooled by others who tell you that Grade 304 stainless steel is just as good. The fact is, it’s not and if you want screens that are going to be around as long as you are, SecureView Eclipx Security Screens made with 316 Marine Grade Stainless Steel Mesh are the correct choice every time. Safe Suburbs: What to look for? Unit 10/74-76 Oak Road, Kirrawee NSW 2232. © Copyright CommandeX. All Rights Reserved.